The Shark Academy is more than just an internship or volunteer program. This is an academic field school experience specializing in connecting undergraduate students, early career scientists, conservationists and senior scientists. We focus on skills development, academic mentoring, field work, science communication and professional portfolio development. All with a focus on Africa’s diverse sharks. Let the Shark Academy team develop and build your skills. Are you a university student looking to build critical skills working with sharks and in the field of marine science? A shark enthusiast looking for an exciting way to spend quality time with these fascinating predators? A diver looking for an exceptional experience to develop new dive skills in some of the sharkiest waters in the world? If you answered “yes” to any of these questions, then a volunteer or internship position at the Shark Academy is for you! The Shark Academy is a division of the South African Shark Conservancy. 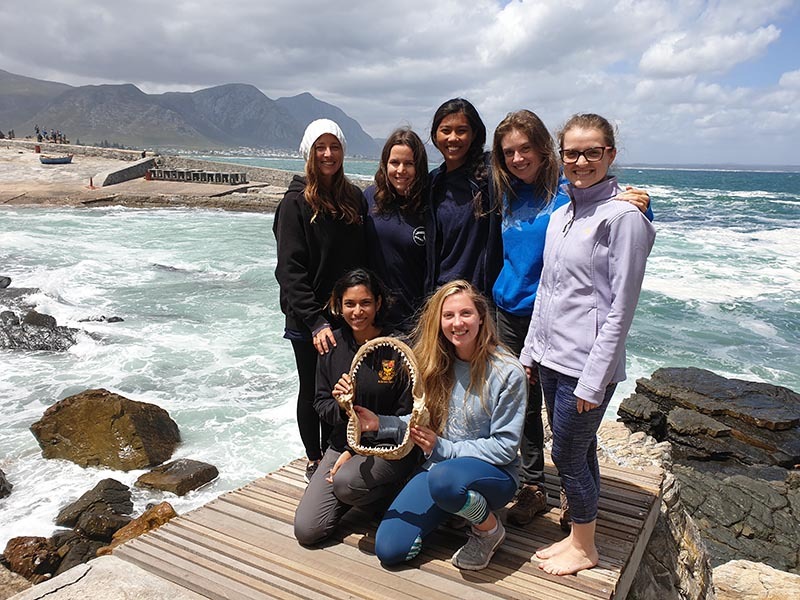 For more than 10 years we have worked with students, young scientists, conservationists and divers from around the world to provide unparalleled opportunities working with sharks. Depending on your background and ambitions, we can tailor a package to suit your needs. Are you a shark enthusiast and looking for ways to spend some quality time with these fascinating predators? How about a volunteering program with the South African Shark Conservancy? 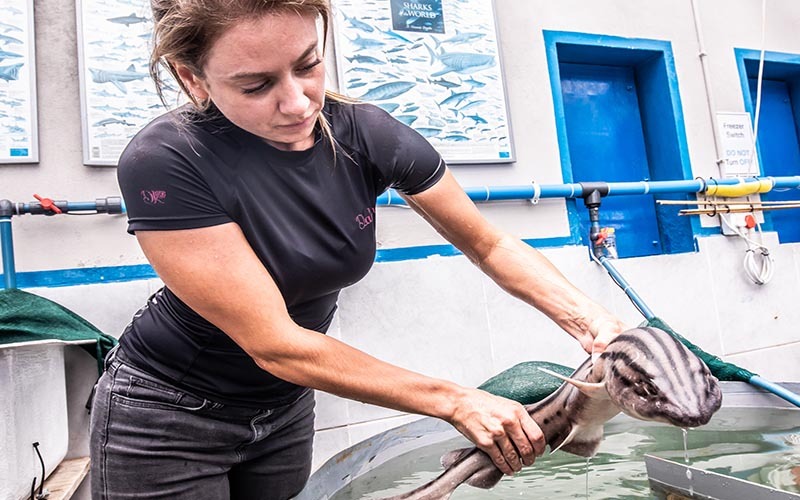 Our training and education program, the Shark Academy, gives you an unparalleled hands on experience in shark science – above and below the water. Our days are filled with fun, action, adventure and of course sharks. Experience close encounters at The Shark Company with South Africa’s sharks. No cage. No risk. Many of these sharks are found nowhere else in the world. Benefit from our 20+ years of experience as Marine Biologists, shark scientists, and divers while supporting conservation. Join our sister company, The Shark Company, for exciting in-house scuba diving training or scuba diving expeditions. The Shark Company, based in the SASC Shark Lab, is a registered PADI Dive Centre and offers exceptional upskilling opportunities for volunteers and interns. ”I had the most amazing time! I have learned so much since I've been here that will no doubt help me along my way in marine bio!